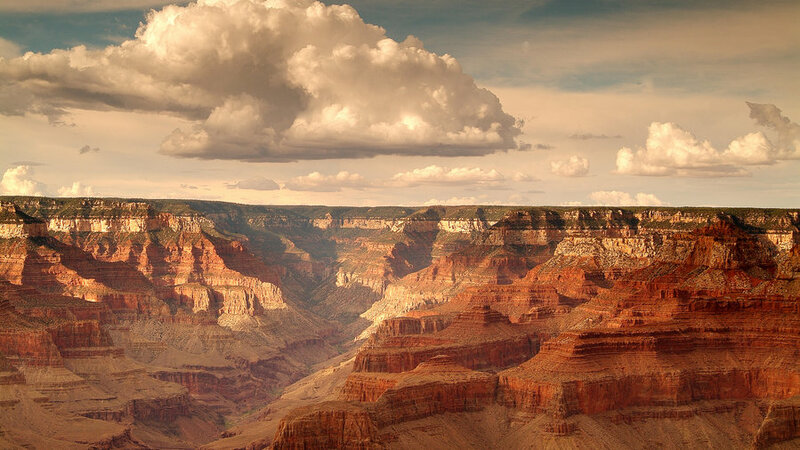 You won’t really know the Grand Canyon until you’ve explored its unforgettable North Rim. 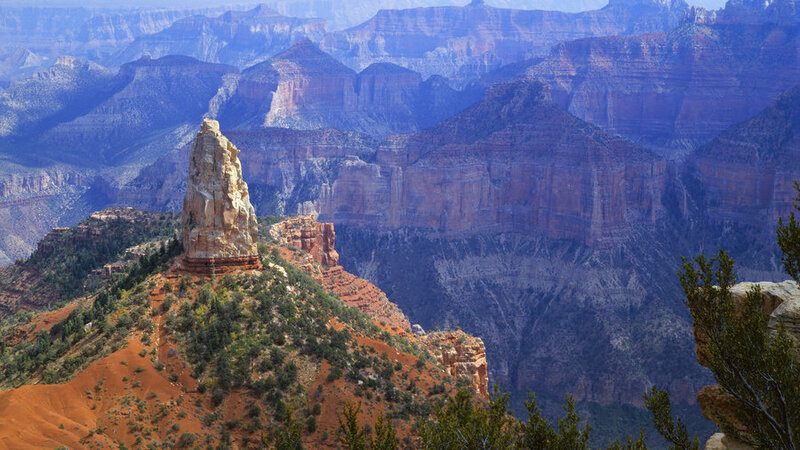 At 8,000 feet, it is higher in elevation than the South Rim and less crowded. Seen here from Ken Patrick Trail, rock spire Mt. Hayden frames the horizon. Havasu Falls offers a perfect balance of natural forces: turquoise water and red, red rock, glowing beneath a blue desert sky. Other falls are taller; other falls carry greater volumes of water. 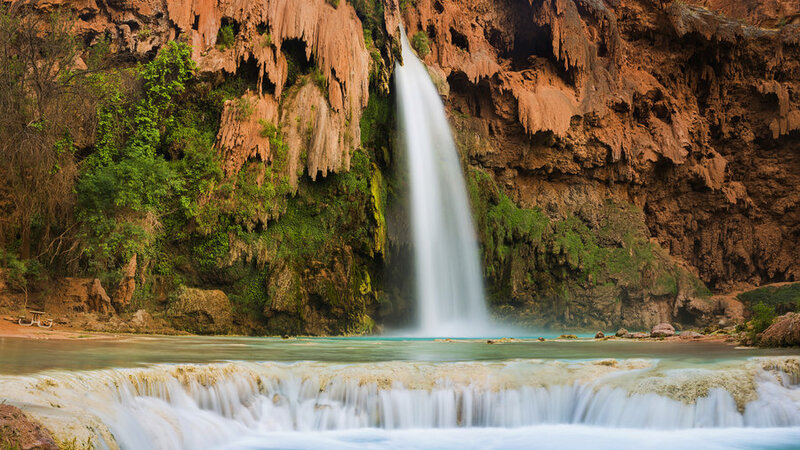 And boy, are other falls easier to reach―to get to Havasu, you hike 10 miles into Havasu Canyon near―at least on the map―to the South Rim, having obtained the required trail permit from the Havasupai Indian Reservation months earlier. But no waterfall in the world is so worth the work. A descent into the Grand Canyon's South Rim by mule offers something more than just another view. Pass through a sequence of vastly different landscapes, each with its own distinct climate, wildlife, and topography. 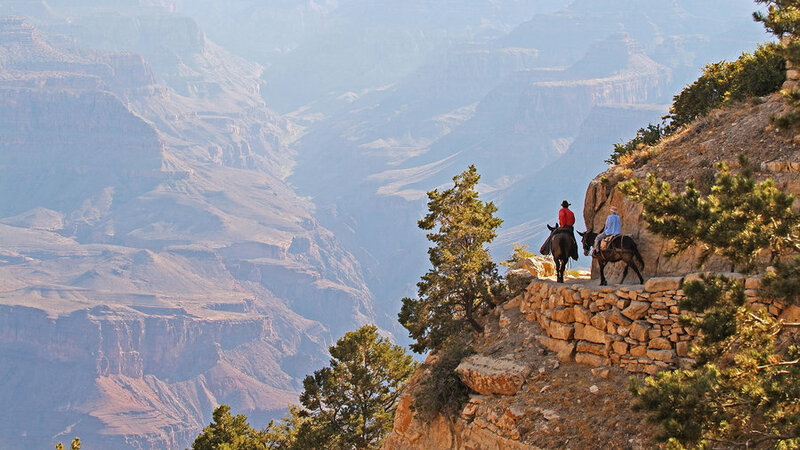 A century-old tradition, mule rides are a good alternative to hiking out of the canyon. 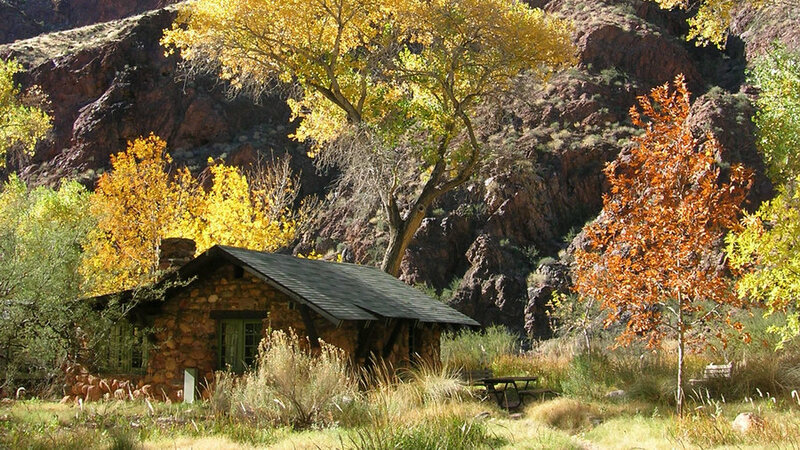 South Rim options include day trips to Plateau Point and overnight trips to Phantom Ranch on the river. Architect Mary Elizabeth Jane Colter designed six landmark buildings near the South Rim between 1905 and 1935. When you arrive from the east, the first Colter structure you see is the Desert View Watchtower. Stop to take in the panorama―one of the best in the canyon, with a long stretch of the Colorado River clearly visible 5,000 feet below. 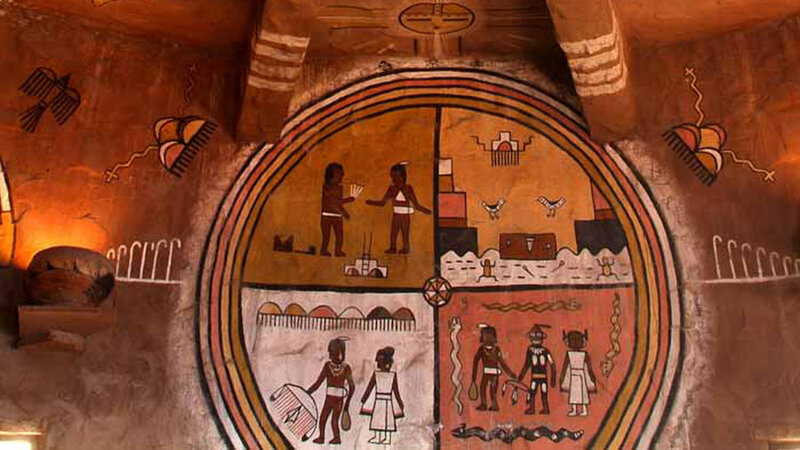 Inside the Watchtower, a re-creation of the kind of Ancestral Puebloan towers found at Mesa Verde and Hovenweep on the Utah-Colorado border―huge picture windows frame the landscape, turning the building into a gallery of canyon vistas. 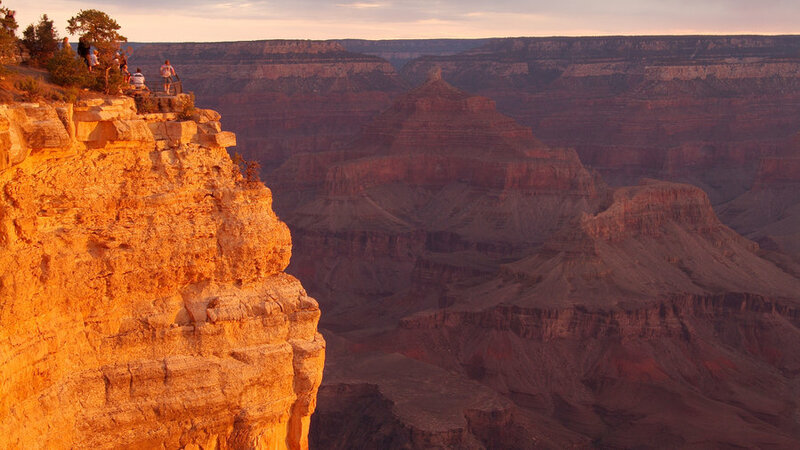 Close to the main South Rim visitor area, Yavapai point may provide one of the best panoramas of the inner canyon, the Colorado River, and Bright Angel Canyon. After taking photos of the sprawling panorama, you will see a turquoise-bright sky that remains visible to the west. 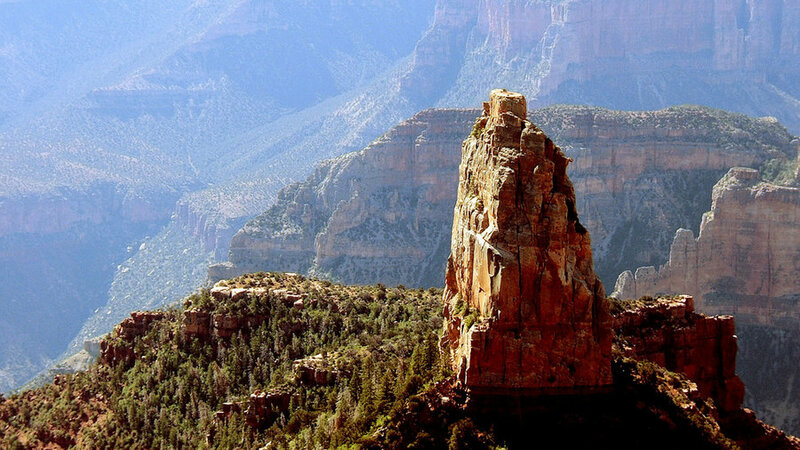 You can also view Phantom Ranch, Bright Angel, and North Kaibab Trails from this supreme vantage point. Phantom Ranch sits next to Bright Angel Creek at the canyon bottom and is the place to go if you're willing to rough it a little. Architect Mary Elizabeth Jane Colter designed these rustic wood-and-boulder cabins in 1922. 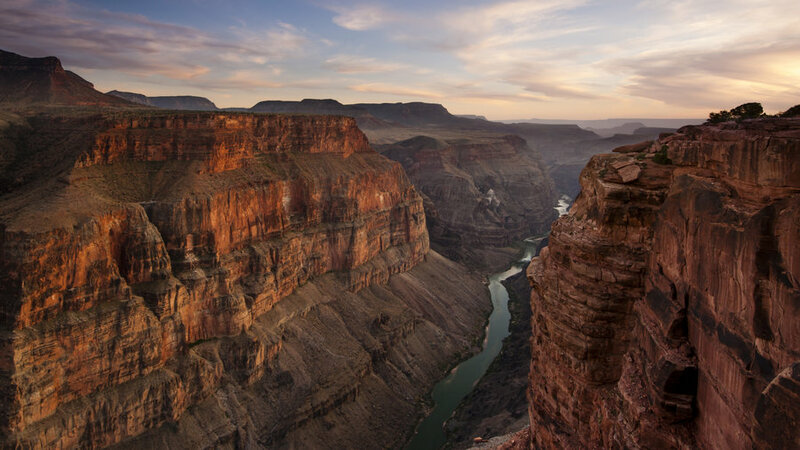 A magnificently lonely oupost in the Grand Canyon's northwestern corner, 4,600-foot Toroweap grants unforgettable views of the Colorado River. Equally impressive are the volcanic features, cinder cones, and lava flows, which make this viewpoint one of the most unique in the park. 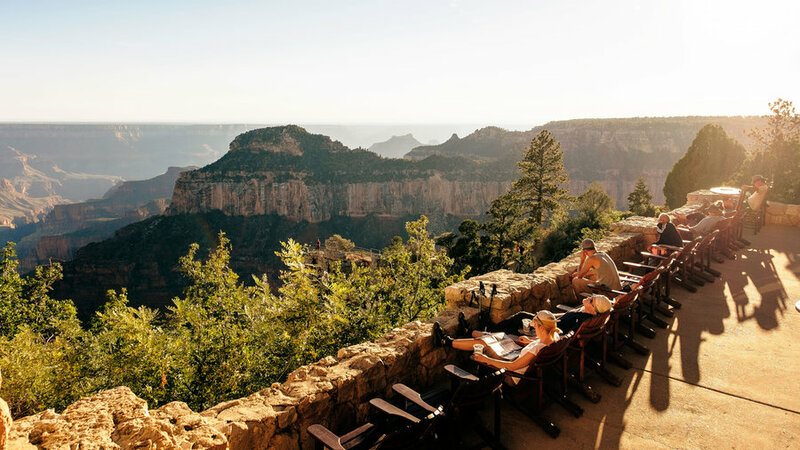 There’s a palpable serenity as people from all over the globe settle into the rough-hewn chairs to ponder the North Rim of the Grand Canyon. Heaven should be so mellow―and also serve cold beer. 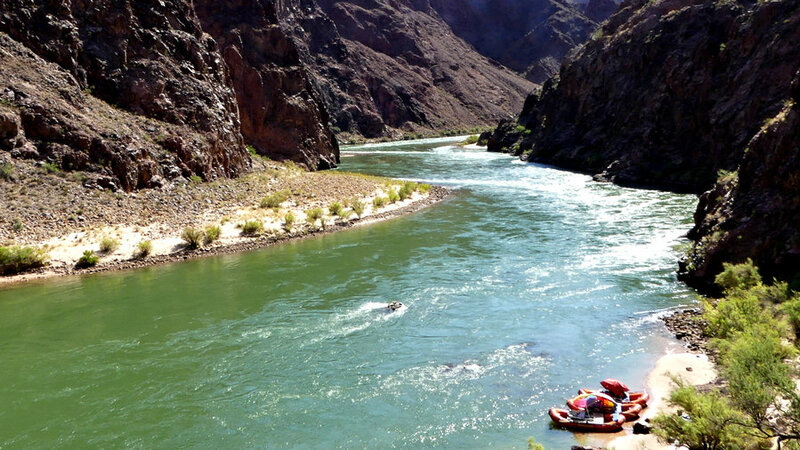 A river trip offers a truly unique perspective 5,000 feet below the rim. While the prospect of running its rapids can intimidate, there are options for every skill and commitment level. Providing endless photo ops, this rustic landmark virtually blends into the sweeping panoramic landscape at the canyon’s edge near Bright Angel Lodge in the South Rim. The historic Colter-designed building now operates as a gift shop and observation station. 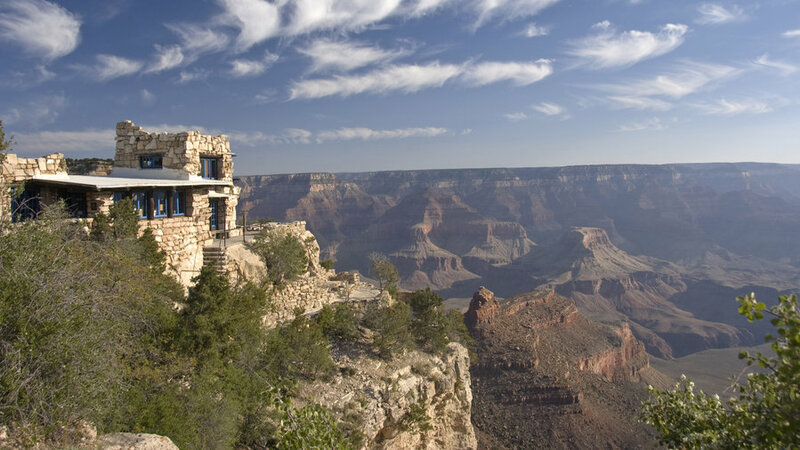 There's a reason why all the tour buses stop at this popular South Rim view point–it's beautiful. Visible landmarks as you look east include two prominent pinnacles–Vishnu Temple and Temple of Zoroaster. The latter was architect Mary Elizabeth Jane Colter's inspiration when designing the Bright Angel Lodge's history room. У нашей организации интересный портал на тематику https://rbt.com.ua.